My stay at the Biltmore Hotel is what we are going to talk about this week. This post is waaayyyy overdue. You know how life can sometimes go. 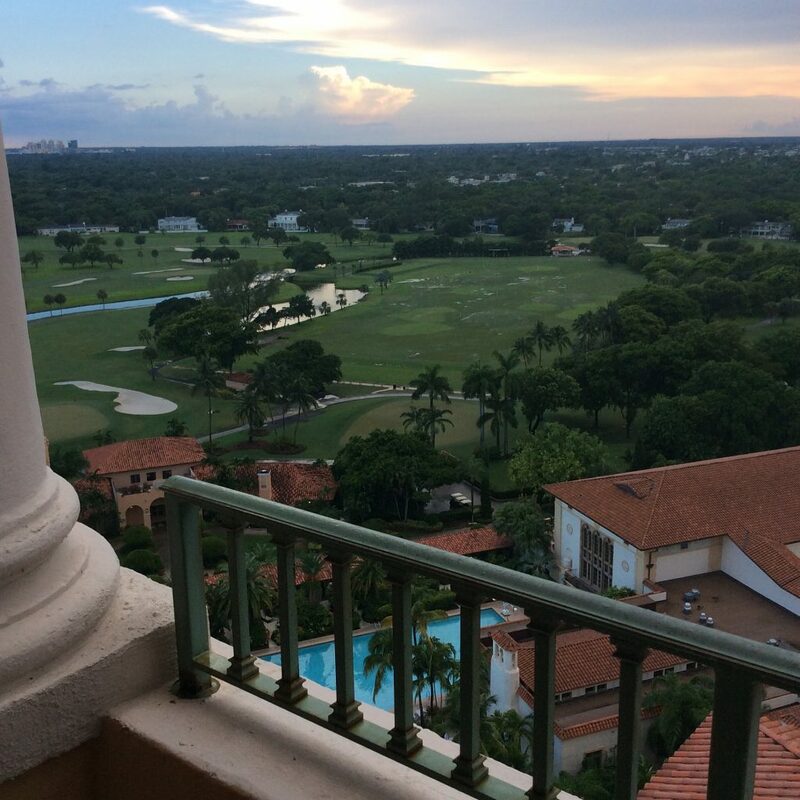 In August I stayed at the Biltmore Hotel for one night while in Miami recovering from surgery. The Biltmore Hotel is a historic property located in Coral Gables very near the University of Miami. This property is gorgeous. I will let the pictures speak for themselves. I arrived late in the evening so I didn’t get a chance to enjoy the dining that the hotel had to offer, but I will be sure to partake when I return. I will definitely return. The Biltmore has been a locale for television as well, having been spotted on a few episodes of my favorite show Burn Notice. I was on the 15th floor in the tower and look at the view from my bathroom balcony. The golf course is lush and beautiful. The view from my comfy bed. See those French doors in my bathroom?! It was wasn’t raining that day, I would have taken a dip in the pool!!! Isn’t it lovely? Look refreshing!!! Beautiful bathroom with a fantastic view and balcony. This bed was super comfy and I awoke well rested. If you are ever in the area, be sure to consider this beautiful hotel. I will definitely return. There is still so much left I want to see and do (and eat!!) there.